at long last, record no. 1 was indeed released on 7/6/99. in september, janas had the pleasure of singing the national anthem before the indianapolis indians baseball game. we stayed for the game and i caught a foul ball... woo hoo. came right to me. there's been a fair amount of radio interest in the region and a special thanks goes out to KCMU seattle, KDHX st. louis and WFHB bloomington - all of whom have gone above and beyond the call in their support of the band. record no. 1 will finally see national release on 7/6/99. while awaiting the official release, the band recently visited kansas city, columbia, mo, iowa city, madison, wi, and champaign-urbana. thanks to everyone that came out. recently, three mary janes songs charted in the top ten of the alt.country chart at mp3.com. advance reviews of the record are in from salon.com, the indianapolis star and the chicago tribune. the national release date for record no. 1 has been delayed once again. this latest delay is due to a distribution deal with steve earle's e-squared and ada. as a result, the record will be much more widely available than it otherwise would have been. now, that's a bit of good news. it has been a busy fall and winter playing live and recording new demos. the band has initiated a new van and played for new-found friends and fans in chicago, st. louis and ann arbor. in late november, the band recorded 12 new songs. 3 of these are now exclusively available, on a 5-song ep, from the mary janes page on mp3.com. and in january, the band added kevin smith (the royals) to the line-up. kevin plays guitar, dobro and mandolin. 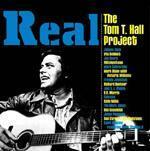 on 12/8, Real: The Tom T Hall Project was released on sire records. the mary janes contributed the track i'm not ready yet. other artists contributing tracks include johnny cash, richard buckner, kelly willis, ron sexsmith, whiskeytown, r b morris and several others. this album is amazing and well worth picking up. also, while no release date has been formally set, record no. 1 should be available from the band by mid 2/99 and see a national release by mid 3/99. also, lola, a side project that janas and several ex-mary janes are involved in have released their first recordings on flat earth records. one day is a 4-song cd-ep available now from flat earth. the band will be playing several shows in february to support the release. currently, lola is gretchen holtz (sugarfreak), freda love (mysteries of life, ex-mary janes), janas hoyt (the mary janes), sophia travis (ex-mary janes), kathy kolata (ex-mary janes, ex-vulgar boatmen) and kenny childers (mysteries of life). this past july 4, the band hooked up with the lilith fair at the fair's stop in indianapolis. a good time was had by all. check out the full report for photos and a quicktime videoclip from the band's set. the record, the record, the record ... after an unbelieveable number of delays, it currently appears that *record no. 1* will be released this winter. advance copies have been released to local radio. sheesh, not alot going on. or, at least sometimes it seems that way. on a lighter note, babies abound. both mike and kathy will have new mary janes within a couple months. this season's line up changes included the recent guest addition of sophia travis on the accordian and harmony vocals. also, we are real excited about freda love (mysteries of life, ex-blake babies) playing drums with the band through the winter. last, but not least, janas recently completed recording sessions at belmont mall studios with john mellencamp. the project consisted of re-recordings for a new greatest hits type record to be released in a year or so. janas added vocals to about 10 songs...we've heard the record and it will be well worth a listen. recording continues at echo park in bloomington. at this point, mostly just final mixes are left to be finished up. the band has been much busier of late. the highlight of the season was a trip to austin, texas for sxsw '97. all of life's problems were temporarily answered by johnny cash songs, playing endlessly in the van for 32 hours. big treats at sxsw were the ron sexsmith showcase on wednesday and del mccoury the next night. by saturday night, the band was ready to play. when it was time for the last song, 10 mary janes were on stage, including eric haywood (from son volt) who was kind enough to sit in on pedal steel for after we go and i'm not ready yet. once home, the band found out about some good press and took alot of naps for about a week. most of december and january were spent recording or thinking about recording. overdubs were completed on the first six songs, mixing remains. the band was selected to appear on 1997's live from bloomington cd. 14 other bands from this area will also appear. the mary janes will contribute never felt better. the band's first road trip as a 7 piece went well...opening for the vulgar boatmen in chicago on thanksgiving weekend. we had a real good time and everything seemed to click. look for us up that way again real soon. meanwhile, engineer mark maher and i finished up the tom t. hall cut to be included on volume one of the tom t. tribute to be released in march 1997.
masters have been delivered and ink is on paper, which is very exciting as it's an all star line up of some of the mary janes' very favorite artists, but i'm not supposed to say who all's going to appear on this cd yet... i will say that it is a privelege to be included, and offer my humble thanks to delmore recordings and kickstand productions. the great thing about working with engineer mark maher, (well, one of the many great things) is that he is also a terrific bassist. so, the mary janes have been doubly blessed by his talents in the studio and on stage. mark will be joining us in john's absence while we finish up this record, which i am very much looking forward to. our original drummer jana wampler has returned to bloomington, and will be rejoining us for her first show back on the 18th of october at the wild beet. the band took a break for most of this month. ...janas cut off 15 inches of her hair, and watched justice cut 8 new teeth, ...carolyn moved back to california, ...and, recording was put on hiatus till late september and october, when the band will resume work at the house of sin in bloomington. during the last week of august, rehearsal began for several upcoming shows. joining janas and kathy will be mark maher on bass and freda love (of the mysteries of life and ex-blake babies) playing drums. also likely to appear is guest harmonica player, kurt squire. this month, the band opened for james taylor and played a couple shows locally at the wild beet. turns out that the well-dressed balding guy sitting on the bench at the side of the stage was indeed james taylor, no word which song he liked best. 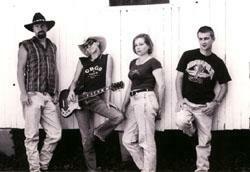 recording was completed on the mary janes' version of tom t. hall's, i'm not ready yet. echo park sessions....recording for the debut mary janes record began in studio b at echo park during the last week of may and will continue through june and july. during the first session, the band again worked with john strohm and finished rough mixes of six songs. for this first session, the band included kathy kolata and caroline balfe on viola and violin with mitch harris and glenn hicks on drums and bass. dennis scoville, from the hello strangers, also played pedal steel and mandolin on after we go. wow, we went to see gillian welch the other night. she is amazing. her new record is titled revival...check it out. #1 demo tape..... a four-track recording was completed in the end of april with john strohm ably engineering. the band finished eight songs during the three day session in our basement, including wish i could fly, throwing pennies and a new song titled shooting star. for the demo sessions, the band included janas, caroline balfe, kathy kolata, jana wampler and ian brewer. 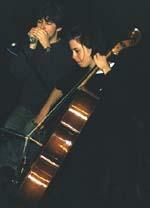 john also played bass and drums on shooting star. recent shows included opening dates for jolene at schuba's in chicago and the geraldine fibbers at second story in bloomington. the band included glenn hicks from the way-hip bloomington band el ni�o and mitch harris from velo-deluxe. incidently, glenn and mitch also play together in the hello strangers.